We are proud to announce that MarketsFlow is one of the 6 firms globally to be selected by Dubai Financial Services Authority for their Fintech Innovation Testing Programme. We will always partner with the most forwarding looking jurisdictions as we look to lead the development in scientific investment management globally. Included below is the announcement of the “DFSA Expands FinTech Innovation Testing Programme” as shown on the DFSA site. 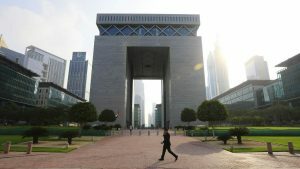 The Dubai Financial Services Authority (DFSA) today announced the expansion of its Innovation Testing Licence (ITL) programme in response to continued interest in FinTech and the digital economy. The ITL programme enables firms to test innovations in financial technology (FinTech) in or from the Dubai International Financial Centre (DIFC). Bridg is one of the Middle East’s first FinTech startups and is building a software-based payment solution that allows smartphones to process face-to-face transactions without the need to be connected to the internet. Fastnet is a FinTech adviser that aims to link cutting edge risk profiling with simple, liquid, low cost investment solutions. Its premise is that the greatest enhancement to retail investors will be in providing a much deeper and sharper understanding of investors’ needs and ambitions. Fastnet’s focus is on developing a detailed understanding of the client, by helping investors truly understand how their financial personality affects their investment outcomes, providing investors with the tools to manage their wealth with confidence. HedgeSPA offers Sophisticated Predictive Analytics to hedge funds and institutions. Its mission is to democratise access to advanced investment analytics for large institutions and sophisticated investors. HedgeSPA’s core platform, powered by artificial intelligence, big data, and cloud computing, empowers professional investors with asset selection. Jibrel Network, a Swiss blockchain development company, will be developing a UAE-specific financial services blockchain solution, to enable the deployment of virtual mobile accounts. Jibrel’s implementation will include consumer protection, awareness and support – as well as compliance / risk management and mitigation capabilities. Cohort 2 applications will open in September to coincide with the second edition of the DIFC’s FinTech Hive@DIFC accelerator programme. The 12-week programme, which was announced in January 2017 and went live in August in partnership with Accenture, a leading global professional services company. It is designed to bridge the gap between innovative tech entrepreneurs and financial industry giants, while providing a platform that enables the development of cutting-edge innovation in line with Dubai Plan 2021 and the DIFC’s 2024 Strategy. Of the first 12 firms to have completed the FinTech Hive@DIFC programme, two transitioned to the DFSA’s ITL to test out a FinTech innovation from the DIFC. This latest development forms part of the DFSA’s innovation strategy, which complements the National Innovation Strategy, as set out by UAE Vice President, Prime Minister and Ruler of Dubai, His Highness Sheikh Mohammed Bin Rashid Al Maktoum, to make the UAE a global hub for innovation. In line with the goals of the Dubai 2021 strategy, the DFSA also formalised its approach to crowdfunding loan and crowdfunding investment platforms in 2017, making it the first to introduce a bespoke framework in the GCC. Specifically, loan crowdfunding has become a valuable source of financing for SMEs in several jurisdictions. Please click here to read the original article on the DFSA site. Previous post: I feel very proud for MarketsFlow having won an award for the second year in a row in New York!